Celebrating National Wildlife Week Around the World! In 1938, President Franklin Delano Roosevelt worked with the National Wildlife Federation to dedicate one week in March to educating and spreading awareness about the importance of preserving our world’s wildlife. 81 years later, National Wildlife Week continues to be a celebration of the species that inhabit the Earth. Led by Dr. Alistair Dove, a team of Georgia Aquarium researchers voyaged to the remote island of St. Helena in December of 2015 to study the ocean’s biggest fish, the whale shark. 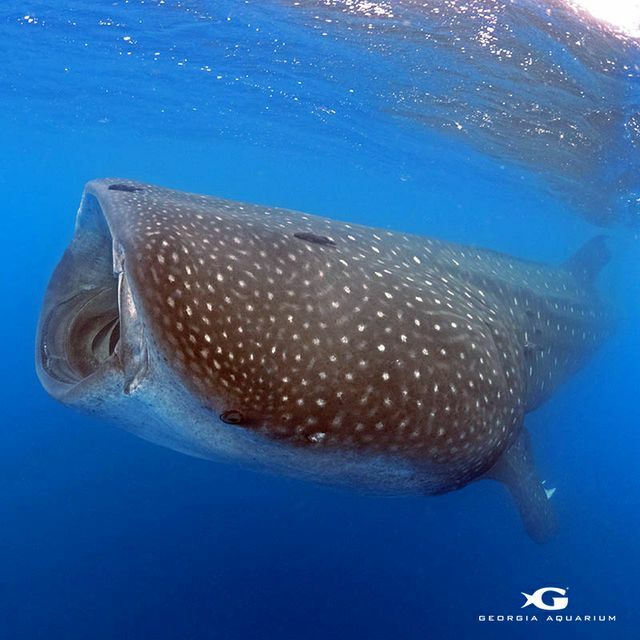 Specifically, they wanted to research the role of St. Helena as a mating ground for whale sharks and tracked their movements to and from the island. Using satellite tags, researchers were able to learn about the movements and mating patterns of more than 30 whale sharks. 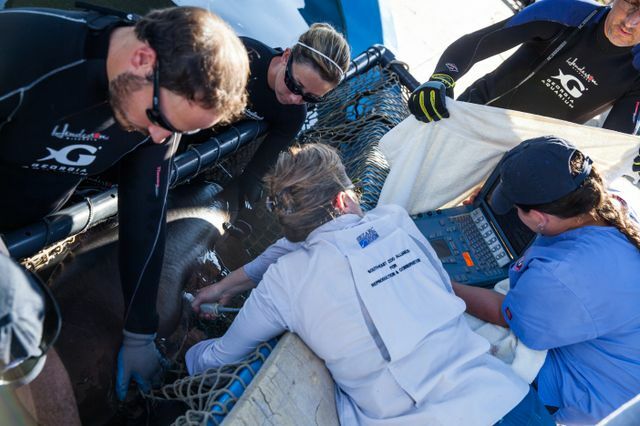 Additionally, the team constructed an underwater acoustic array, which uses hydrophones to monitor and track the tags placed on these endangered creatures. Thanks to these technologies, you don’t have to travel to St. Helena to learn more about our ocean’s gentle giants! You can join their journey from anywhere in the world by following @wheres_domino on Twitter or checking whalesharkwatch.org for updates. ​Marineland Dolphin Adventure, an affiliate of Georgia Aquarium located in St. Augustine, Florida, recently opened a new facility dedicated to preserving the vulnerable shark species - the sand tiger. Sand tiger sharks have been experiencing population decline for the past 40 years, due mostly to overfishing of food sources and entanglement in fishing materials by commercial groups. This species is also predicted to be decreasing in population size by approximately 30 percent every 10 years. Researchers are using the facility as a setting to study the reproductive system of sand tiger sharks and better understand the biological markers that result in successful breeding. The subtle seasonal changes of Florida and outdoor opportunities offered at Marineland make the institution the perfect place to work with one of the country’s largest collections of sand tiger sharks! 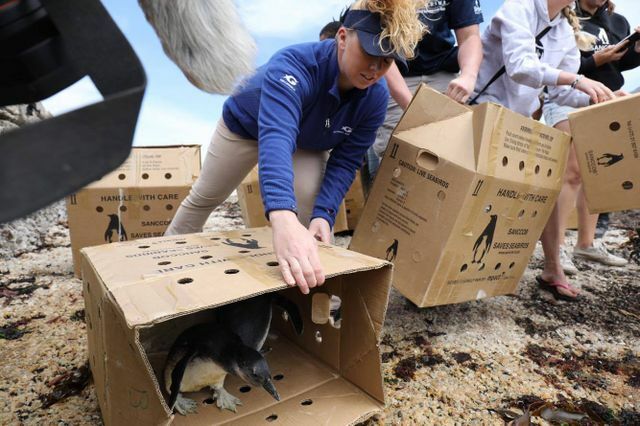 Georgia Aquarium staff traveled to Cape Town, South Africa in December 2016 to work with the Southern African Foundation for the Conservation of Coastal Birds (SANCCOB) to rescue and rehabilitate populations of African penguin chicks that had been abandoned. In the past 30 years, the South African penguin population has decreased by 60%. Habitat degradation due to oil spills and predation, as well as food shortages have led the IUCN to classify South African penguins as “Endangered.” At the SANCCOB station, Georgia Aquarium staff nursed abandoned penguins back to health, with the ultimate goal of releasing the penguins back to Stony Point Nature Reserve and replenish the penguin population. Though Cape Town is far away, South African penguin conservation takes place at home in Atlanta as well! With more than 50 penguins on site, Georgia Aquarium teaches conservation efforts through education and encounter programs, and strategic breeding research. Coral reefs are an integral part of the marine ecosystem, providing homes for thousands of different aquatic species. Their central role in marine ecology makes degradation of coral reef habitats a pressing issue for our world’s oceans. Since 1970, the population of staghorn and Elkhorn reefs have been diminished by 98 percent. Georgia Aquarium traveled to the Coral Restoration Foundation (CRF) in August 2016 to replenish coral reef populations and create environmental conditions that would ensure the long-term survival of coral. Together, CRF and Georgia Aquarium planted 500 coral of eight different genotypes in the Florida Keys site. 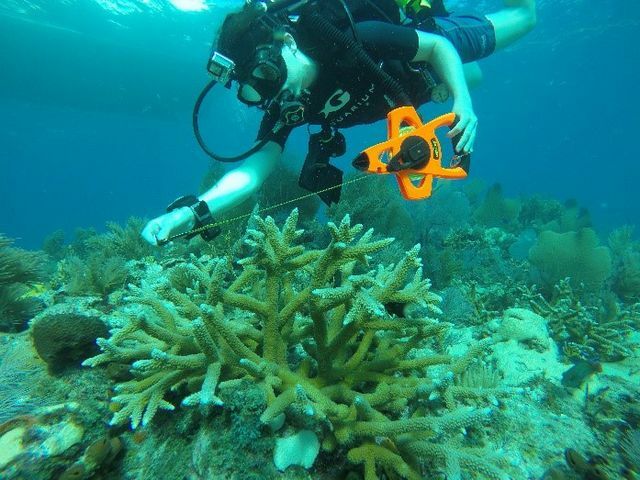 These new populations of coral will be sustained long-term with coral spawning techniques and the coral tree method, which involves anchoring coral in the sand; when storms or cold water flows approach, this method allows for coral trees to be adjusted to avoid destructive currents. Along with planting coral in Florida, Georgia Aquarium fosters its own coral population in one of the largest reef aquariums in the world! Recycle and use reusable bags – protect our oceans from harmful debris pollution! Educate your friends and family on how they can reduce their impact on the Earth by sharing and promoting National Wildlife Week! Follow Georgia Aquarium on Facebook, Twitter, and Instagram to stay up-to-date using #NationalWildlifeWeek.